The flu season is unpredictable. Sometimes the flu shot works, and sometimes it doesn’t work. The flu shot is made from last year’s flu strain. Therefore, if the current year strain is different than the last year’s strain, the flu vaccine will not be effective. 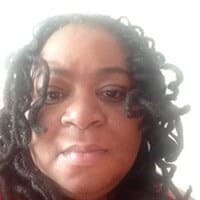 The elderly are vulnerable because they often have more medical problems, and their immune system is compromised. Why Does the Flu Kill So Many Quickly? How Long Does The Flu Last In the Elderly? 6. Do Not Kiss or Hug Someone With the Flu! The elderly, sick people and children are the most susceptible to getting the flu. The flu with pneumonia kills approximately 50,000 people per year. The majority of these people are over the age of 65 according to the Centers for Disease Control. The symptoms of the flu can range from being mild to severe. In the elderly, the flu symptoms can be moderate to severe. This why you must take every precaution to avoid the flu. In the elderly, the flu can be devastating. Often time the flu leads to other complication such as pneumonia, pleural effusions, other lung problems, and even death. If an elderly person is healthy, the flu can last 1-2 weeks. For someone who is not healthy, the flu can take a toll on them. I have seen some elderly patients take weeks to recover. 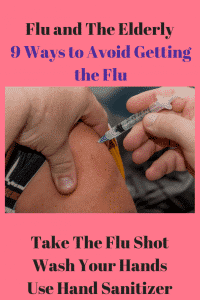 The best way that has been researched to avoid the flu is to take the flu shot. Becoming immunized from the flu shot causes your body to produce antibodies. These antibodies protect you from previous strains of the flu. Just know that if there is a new strain the flu virus will not contain that strain and it will be less effective. Even though new strains are not in the vaccine, you will still be protected, or if you get the flu, it will not be as severe. People should be vaccinated with the flu shot as early as possible when it is available in October. The earlier you get vaccinated, the earlier you will be protected. The flu shot is available until April of the following year. The lifespan of the flu virus is 24 hours according to the Centers for Disease Control. If someone in your household has the flu, all household surfaces should be decontaminated with a bleach solution. 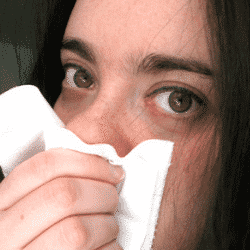 Even if a person shows no signs of the flu, they can still be contagious. All surfaces such as microwaves, stoves, refrigerators, sinks, and doorknobs should be wiped down. As a nurse, I am always washing my hands. I wash my hands before touching patients, and I wash my hands after touching a patient. You see, it has been proven that infections are spread because people are not washing their hands, or washing them properly. Sometimes, sinks are not available. Hand sanitizer makes a great substitute. Of course, if your hands are visibly soiled, you should find a sink as soon as possible to wash your hands. Sanitizers are easier to use because they are portable. Hand sanitizer also comes in different strengths. Everyone should sanitize their hands after they pump gas, use a grocery cart, or pull on a door handle. These portable hand sanitizers are excellent for cleaning hands. When people are showing sign and symptoms of the flu, it is best to stay at least 3-4 feet away from them. If it is not possible to keep your distance from people with the flu, there are ways to protect yourself. These Honeycomb Mask are excellent to help prevent the flu. I know it is hard to not love on someone who is sick, but the flu is spread through respiratory droplets. Contact can occur by kissing, hugging, being in close contact, or shaking hands with people infected with the flu. The flu virus is highly contagious. Remember the flu has an incubation period. Therefore, a person can be infected before they even have symptoms. Although the flu virus is not directly in food, when you share a plate or share utensils, you can live the virus behind and infect someone. Sleep is very important to the immune system. People who are receiving chemotherapy or radiation have decreased immune systems. Your immune system plays a big role in preventing the flu. Vitamin C and Zinc are excellent for the immune system. Research has shown that people who take a good Vitamin C and Zinc supplement have a lower rate of contracting the flu. 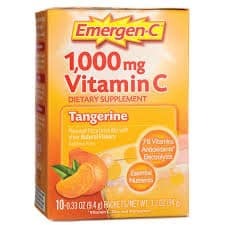 Emergen C is an awesome Vitamin C immune booster. If you do happen to get the flu, although the flu has no cure, there are treatments to help the symptoms.